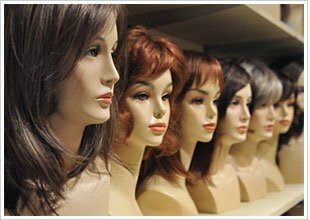 Today, women searching for a great-looking wig in Cincinnati can take comfort knowing that options available to them today are vastly improved from even just 10 years ago. You can look and feel great while wearing a wig. Our wig choices for women are natural-looking and undetectable to most people – even family members. At Allusions, we carry a large selection of wigs in our Cincinnati office, including Private Issue and Sentoo Collection. This brand of wigs comes from Europe – and we have it available right here in Cincinnati. The Sentoo Collection gives you the most natural look and feel. Each piece is feather-light, and offers a soft, gentle, natural appearance with an invisible hairline. We also carry a great selection of comfortable hats and scarves, from seasonal styles and patterns to the most popular brands – including chemo beanies. We understand selecting a wig can be overwhelming. That’s why we’re happy to answer any questions you may have as well as provide additional information about wigs. Schedule a free, no obligation consultation today, please call 513.891.5411.